The world’s most exciting football leagues are returning to SuperSport with a bang this August as Europe’s best players go to battle across the continent to win the most coveted prizes in the club game. 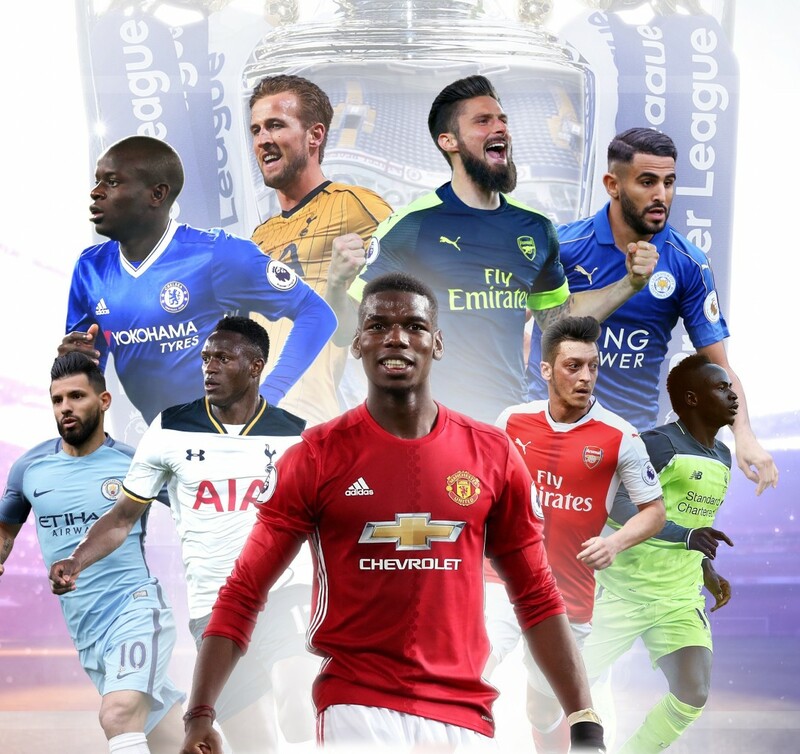 Only DStv will showcase all 380 matches of the Premier League and all 380 matches from La Liga while GOtv customers will get a slice of the action with select games. Chelsea will defend their Premier League title but will likely face a sterner challenge this campaign with most of their rivals having added handsomely to their squads. Chelsea have brought in striker Alvaro Morata from Real Madrid, but missed out on their number one target, Romelu Lukaku, who is bolstering the revolution at Manchester United under Jose Mourinho. Arsenal have high hopes for free-scoring forward Alexandre Lacazette, an arrival from Lyon, but face a challenge to keep hold of striker Alexis Sánchez, who has attracted interest from around the continent. Everton have been among the biggest spenders ahead of the new season, and the return of Wayne Rooney to Goodison Park will be one of the stories to track through the season.The new Premier League season kicks-off on Friday, August 11 when Arsenal host Leicester City and will air live and in HD on SS3 and Maximo1. All-conquering Real Madrid know they will face a huge challenge from Barcelona for the Spanish La Liga title as they seek to retain the trophy for the first time in a decade. It is remarkable to think that Real’s La Liga victory last season was just their second in the previous nine seasons, and the question now is whether they can wrestle the power away from a once dominant Barcelona on a more regular basis as the season kicks-off on Friday 18 August on SS7 and Maximo1. Real manager Zinedine Zidane will also be plotting another win in the UEFA Champions League having stormed to the title last season with a 4-1 victory over Juventus in the final.The qualifiers for Europe’s elite club competition are under way, but the group stages will start on September 12 as the teams vie for a place in the final at the Olympic Stadium in Kiev on May 26, 2018. SuperSport will also broadcast two classic European clashes early in the new season. Mourinho will take his Manchester United team to the Philip II Arena in Skopje, Macedonia, to have former side Real Madrid in the UEFA Super Cup on August 8. And a few days later Real face-off against bitter rivals Barcelona in the Spanish Super Cup, with the first leg at the Camp Nou on August 13, and the return at the Santiago Bernabéu in Madrid on August 16. DStv customers on Premium, and Compact will have access to every game of the new European Football Season action live and in glorious HD only on SS3 7 SS7 while DStv Family customers will get La Liga on SS7 and GOtv viewers will also enjoy select games of the new football season on Select2 with delayed matches on Select 3.